I love a good party dress every now and then. Something to wear out when you’re celebrating a friend’s birthday, a work promotion, or whatever “celebration” you are declaring to get yourself and your friends all together. This dress makes a statement. I love that it has the leopard print at the top and then a little more subtle of a print for the rest of the dress. 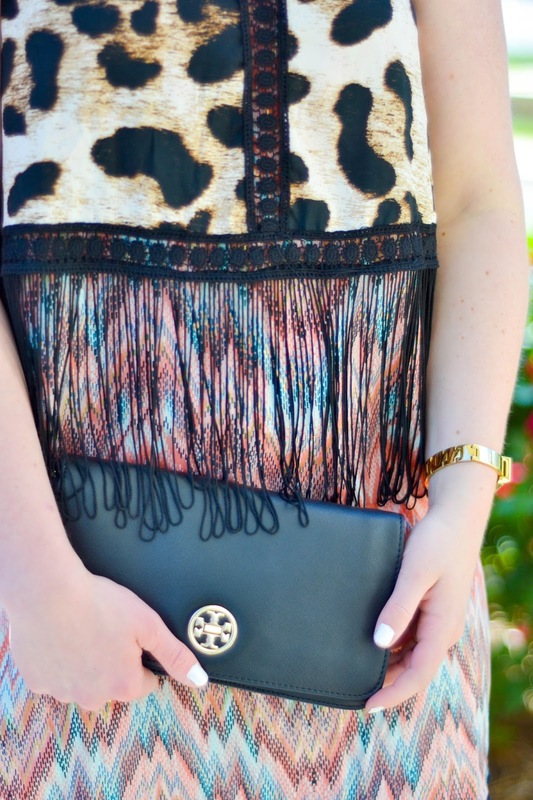 Also, how fun is the fringe on this dress? Oh my gosh, I couldn’t stop twirling! Pat is the man behind the lense, and I think for the first ten minutes I was in this dress he thought I was five. I was a five year-old child twirling in my dress and I still don’t care! Hah! Love, love, love! I can just see myself out dancing with the girls and having so much fun! The best part is this dress is only $40! We all have “celebratory occasions” to look forward to, why not plan ahead and get a special something to wear for one of these nights! See below some of my other favorite picks. I’m thinking graduations, weddings, birthday bashes, girl’s night out, anniversaries and so much more!